Around 70 athletes from Russia’s Olympic team touched down in Brazil on Friday ahead of next month’s games, which start in Rio on August 5. However, hours earlier, the IAAF rejected an appeal from world pole vault record holder Yelena Isinbayeva to compete. Russia’s national team was greeted by Russia’s consulate general in Rio and compatriots in Brazil they landed at Galeao International Airport. At the farewell ceremony before the Russian athletes departed from Moscow’s Sheremetyevo airport, the president of Russia’s Olympic Committee (ROC) Aleksandr Zhukov stated that about 270 Russian athletes have been given the green light by their respective international federations to participate in the competition. The men’s and women’s volleyball teams, the women's handball team, the boxing team, synchronized swimmers and table tennis players were among the flight’s passengers that departed Moscow on Thursday. Speaking at the ceremony, Isinbayeva who was fighting back tears, said that Russian athletes were banned "without a chance” to defend themselves and called on the remaining athletes to "show them what you're able to do — for yourself and for us too." More than 100 athletes from the original 387-member team, which was selected by the ROC, are expected to miss the Olympics. The exact number of Russian’s who will be allowed to compete will be finalized at the end of the week, but there will be no way back for the vast majority of Russia’s track and field athletes, with everyone, except long jumper Darya Klishina, excluded from participating in Rio. Later on Thursday, Isinbayeva announced on her Instagram account that her individual appeal had also been rejected by the International Association of Athletics Federations (IAAF). "Unfortunately, I was not granted an exemption. There was no miracle and I am not allowed to go to the Olympics. Thank you all for your support. I am not destined to compete in Rio," she wrote, adding that she had received a reply from the body’s secretary. Уважаемые друзья и СМИ, информация о якобы не поданой мной индивидуальной заявки в ИААФ на участие в ОИ в Рио, является ложной. 20 минут назад я получила отрицательный ответ от секретаря ИААФ. К сожалению мне не сделали исключение. До ОИ в Рио меня не допустили. Чуда не произошло. СПАСИБО ВАМ ВСЕМ БОЛЬШОЕ ЗА ПОДДЕРЖКУ, ОГРОМНОЕ СПАСИБО! Не судьба мне выступить в Рио! The pole vault world record holder was also among 68 clean Russian athletes that appealed to the Court of Arbitration for Sport (CAS) in Lausanne challenging the decision made by the IAAF, which, they argued, infringed on their human rights. Isinbayeva traveled to Switzerland to address the judges in person. Nevertheless, the court dismissed her appeal along with that of 66 other athletes on July 21, as they did not meet the stringent eligibility criteria, with one of them involving being regularly checked by doping officers outside Russia. Only the US-based Klishina is eligible to compete as she has been training and tested overseas over the past few years. On Wednesday, the IAAF upheld its decision to extend its ban on nearly all Russian track and field athletes from participating in international competitions. It first imposed the suspension in November having accused Russia of running a state-sponsored doping system. 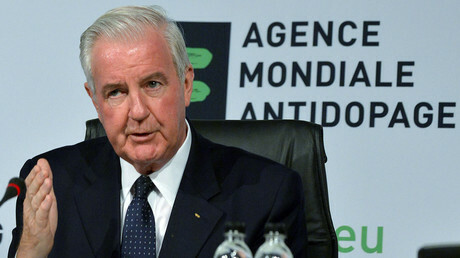 An investigation launched by the World Anti-Doping Agency (WADA) in May resulted in the publication of a report by Canadian lawyer Richard McLaren on July 18. The report claimed Russia’s sports ministry, as well as its secret service, were complicit in concealing positive doping probes of Russian sportsmen by swapping samples or even destroying the evidence. The International Olympic Committee (IOC) refused to bar all Russian athletes from the Olympics, as requested by WADA. However, it laid out extremely harsh criteria for the Russians to participate, making it impossible for athletes with doping history to qualify for the games. Meanwhile, The All-Russia Athletics Federation (ARAF) held a track and field competition for the athletes who had been banned from Rio. Around 200 participants, among them the 110m hurdles world champion Sergey Shubenkov took part in the “Stars 2016” tournament.